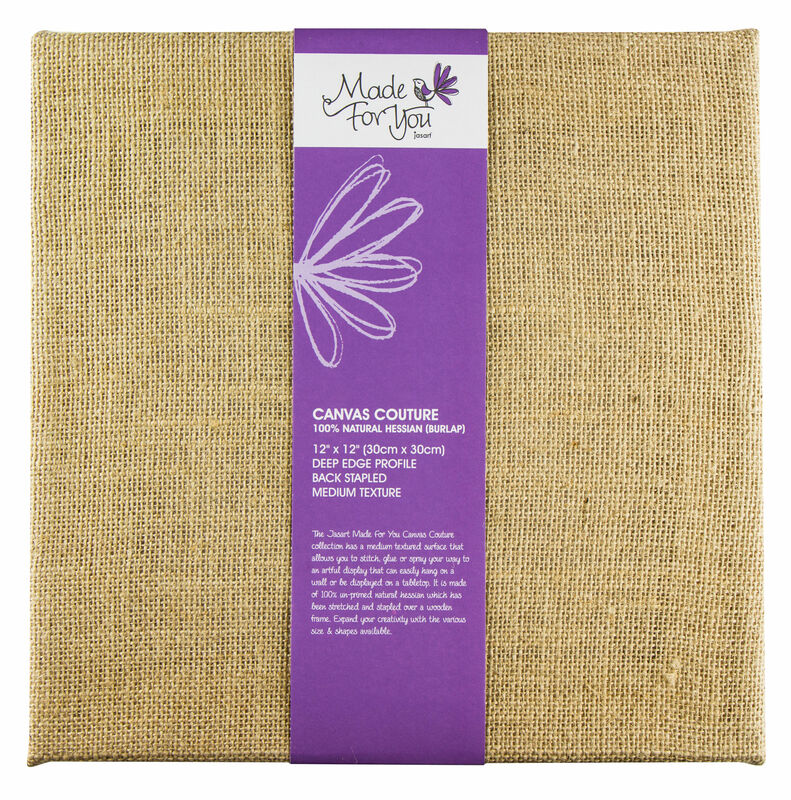 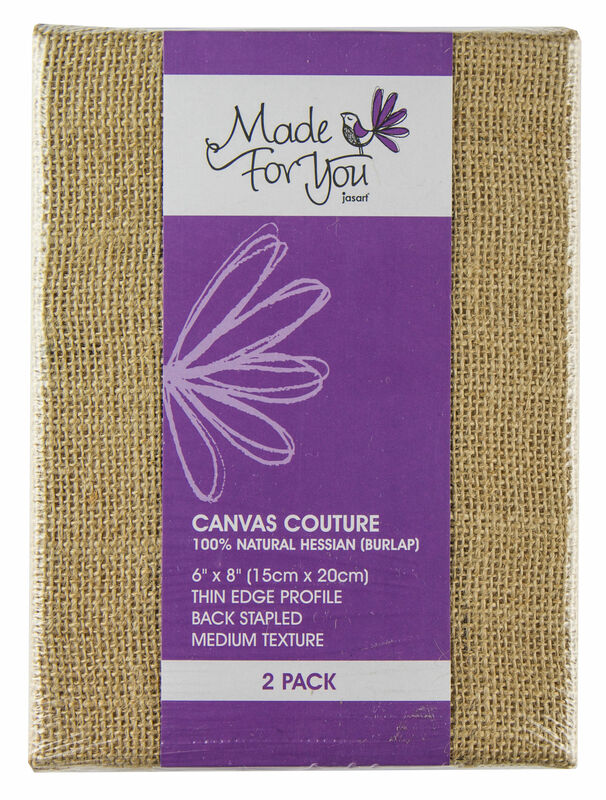 The Jasart made For You Canvas Couture collection has a medium textured surface that allows you to stitch, glue or spray your way to an artful display that can easily hang on a wall or be displayed on a tabletop. 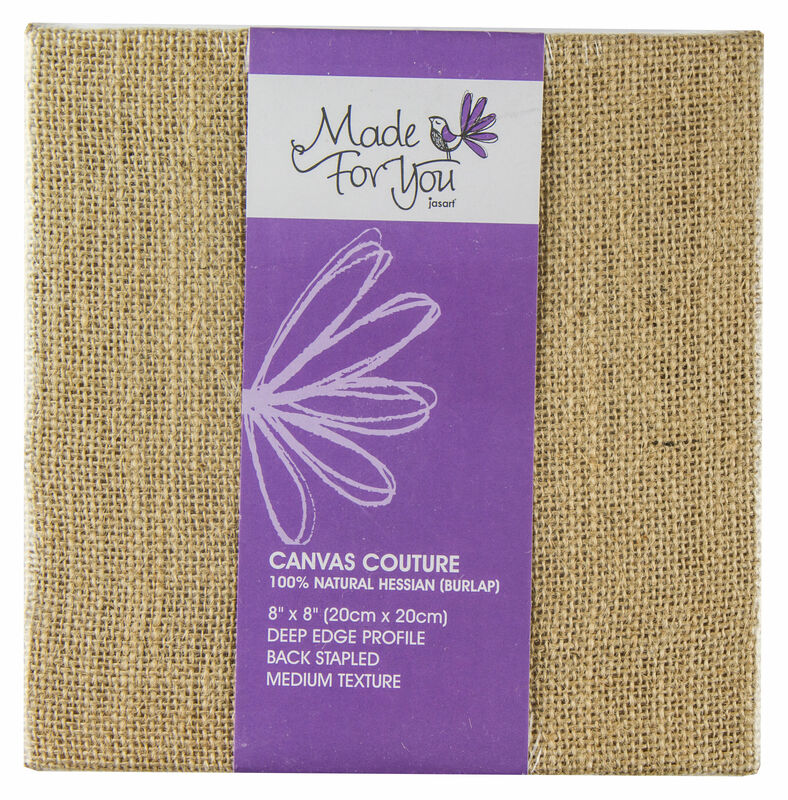 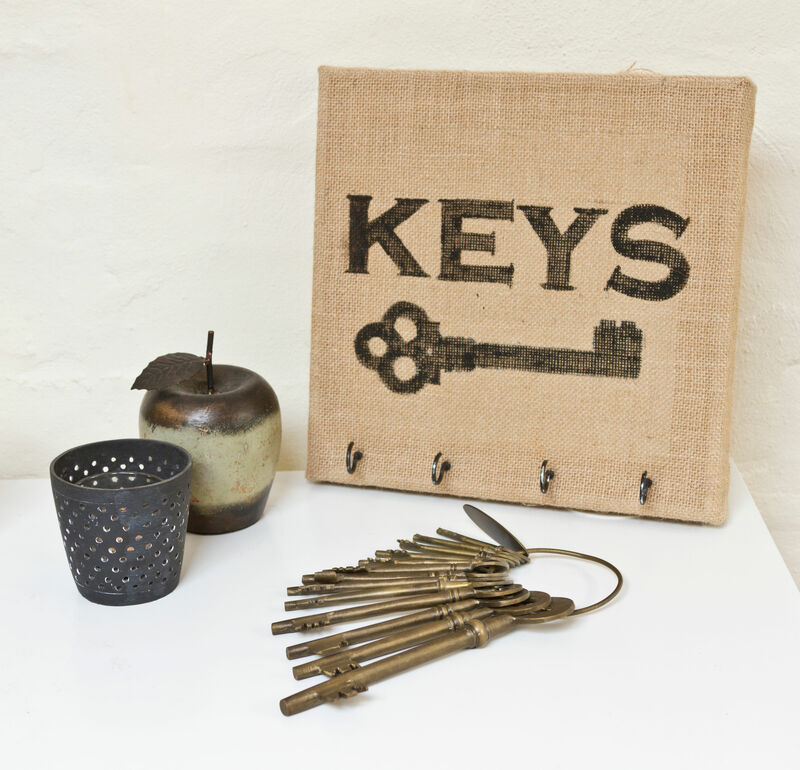 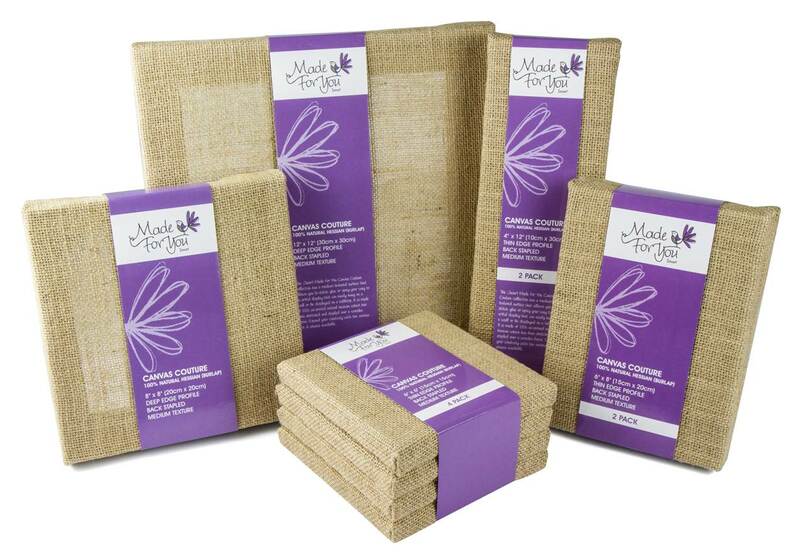 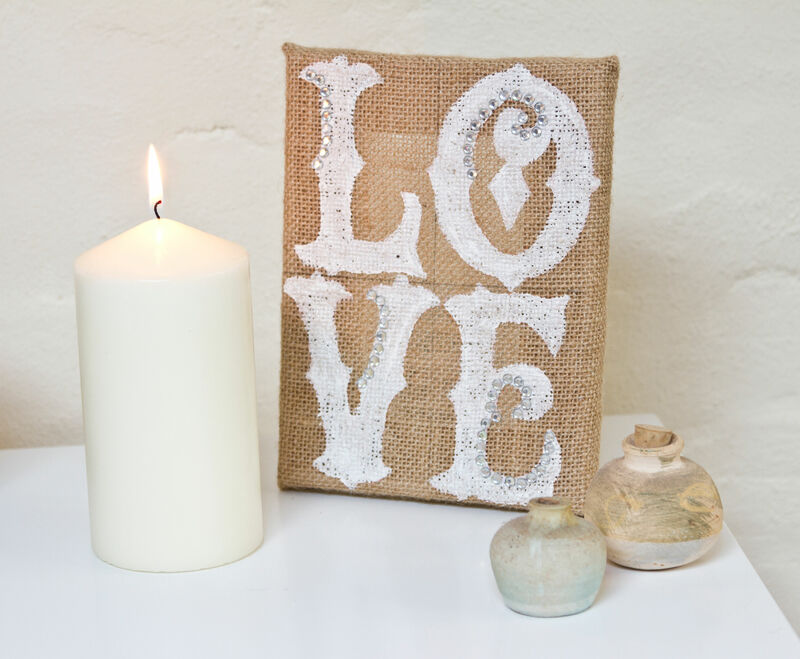 It is made of 100% un-primed natural hessian (burlap) which has been stretched and stapled over a wooden frame. 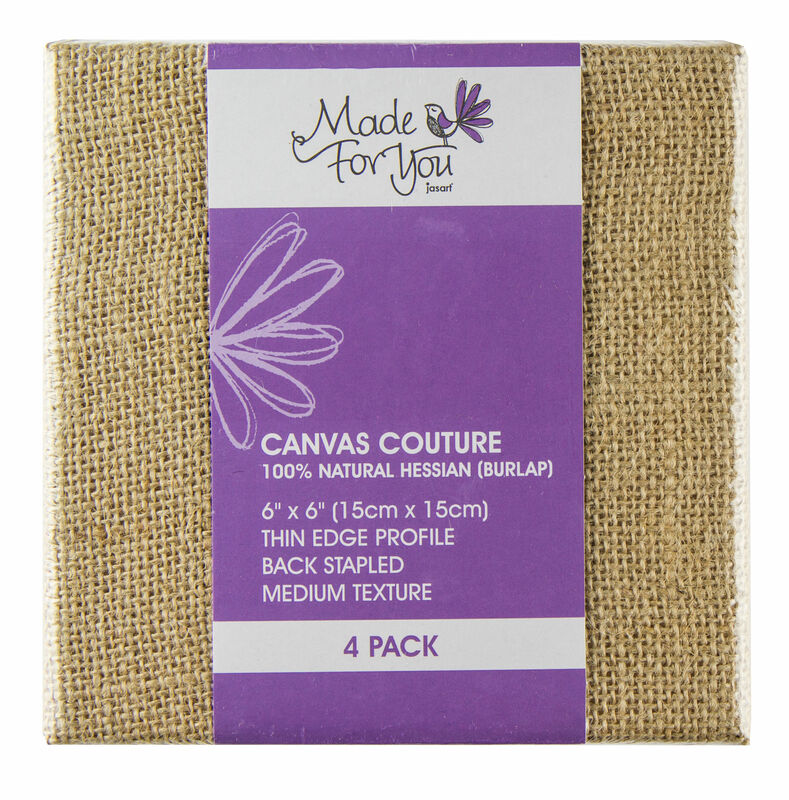 Expand your creativity with the various size and shapes available.